The beauty of Sony’s functional and workflow excellence. Take a closer look. In response to rapidly growing demand for 4K production and IP interfaces, Sony proudly introduces the XVS Series (XVS-8000/7000/6000) – a world-first family of 4K/IP professional production switcher systems. 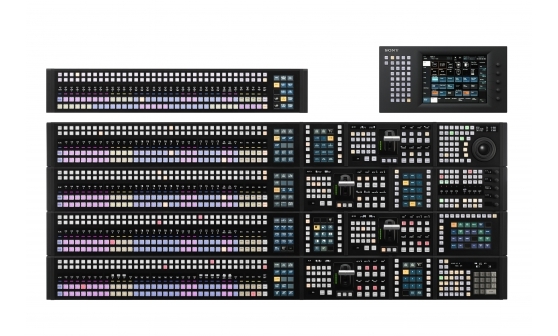 IP interfaces not only provide connection flexibility but also support Sony’s IP Live Production System. The XVS Series inherits excellent, versatile, features from the widely accepted MVS Series of switchers, including: enhanced frame memory, format conversion, multi-viewer capabilities, and a wide range of input and output video formats.